With a managed dedicated server you get reliability, security, scalability, and support. You can face a substantial amount of pressure if you think of managing the dedicated server on your own and you will worry about the uptime. This gets your business growth down and becomes a distraction. 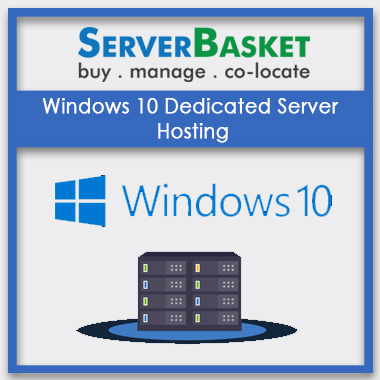 We at Server Basket offering you with the Managed Windows Dedicated Servers hosted in a tier 4 data center infrastructure to make sure that your windows dedicated servers are up and always running. We take care of your server, and you take care of your business. 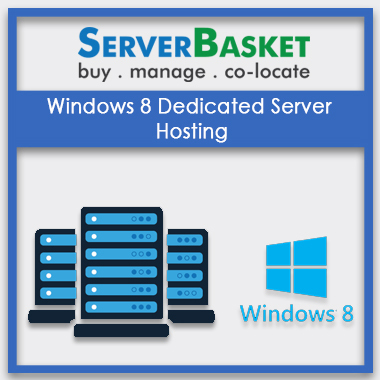 We at Server Basket provide you with fully managed dedicated servers. You do not need to worry about the server maintenance; we will perform all the server management tasks such as server hardening, disaster, and post-hack recovery, software installations, and upgrades, troubleshooting services, installing scripts, Software troubleshooting configuration issues, setting up firewall and server optimization and tweaks, etc. We provide you with 7 days free trial option where you can choose the server plan you wish to invest in and then have a demo with it and then decide if the Managed Windows Dedicated Servers is meeting your business needs or not. This way it helps you to know your server before you pour in the investment. We have a wide range of windows dedicated server plans to choose from. All our plans are designed in a way that can meet the needs to small, mid and large scale enterprises and also mainly for start-ups. Have a look at our server plans to know more and choose the best plan suitable for your business needs. You can choose which version of Windows you want for your Managed Windows Dedicated Servers, and we will install the respective OS. If you are not satisfied with the pre-built configuration of the server, then you can customize the server based on your needs. You will be given full liberty to customize and configure the server as per your choice and pay only for the resources which are in use. You can scale up or down the resources as per the business expansion or requirement. The dedicated servers available from Server Basket deliver best in class performance, built-in with best quality hardware and security. Our servers are the most reliable one, and you will get the fully managed server and do not worry about the maintenance. Most importantly, the servers are hosted in tier 4 datacenters. 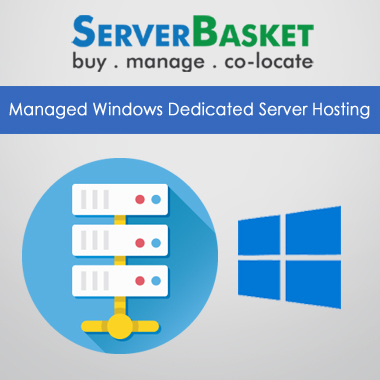 Browse from the widest range of managed windows dedicated servers tagged with unlimited bandwidth at ServerBasket. We don’t impose any restrictions on unlimited bandwidth like other dedicated server providers. You don’t need to think about unwanted bandwidth overage fee when you choose our managed servers. Our managed dedicated servers without any limitations on data transfer will be an apt choice for developers, small, medium and large business. We perform regular auditing with timely malware and antivirus scans to make sure about the logical network security and physical security. We provide OS Hardening and spam countering along with security enhancements. 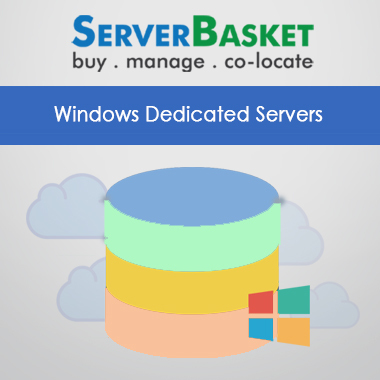 We at Server Basket, assure you best in quality security with Managed Windows Dedicated Servers. Server Basket provides you with the best-in-class expertise technical support 24/7. Our support team will respond and resolve all the queries and issues related to windows dedicated hosting. You can contact our support team for any kind of issues via the chat box, phone call or email. We have solutions from server installation to server security and everything in between.